kalakand recipe | how to make instant kalanda recipe with milkmaid with detailed photo and video recipe. an exotic traditional indian sweet dessert prepared from solidified milk and paneer. it is typically prepared in indian subcontinent during special occasion and festivals like diwali, navaratri, ramzan and even on holi. quite often it is also known with other names like milk cake, mishri mawa or qalaqand. 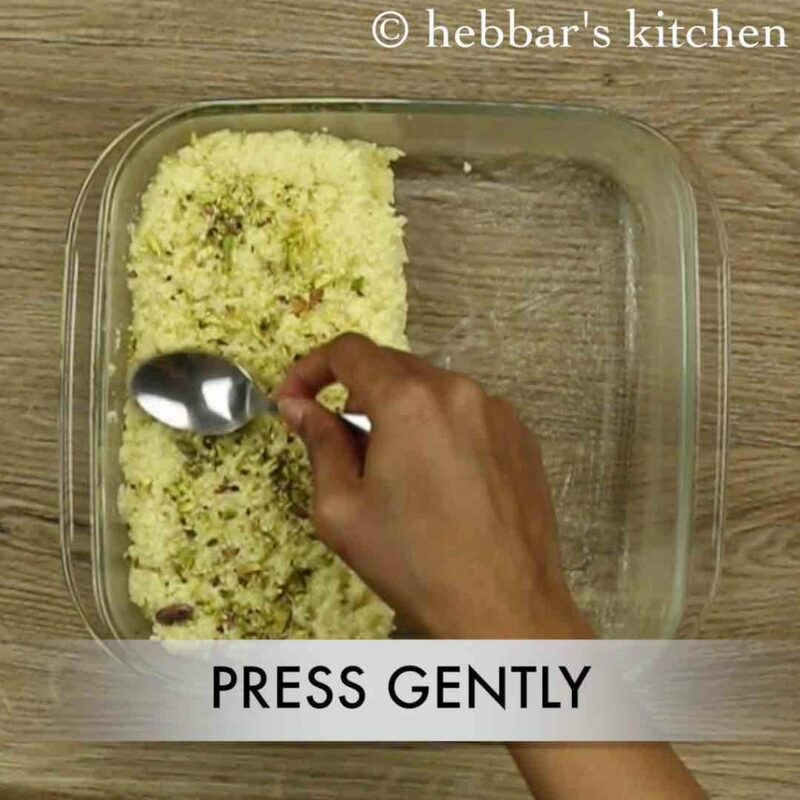 kalakand recipe | how to make instant kalanda recipe with milkmaid with step by step photo and video recipe. kalakand is a popular sweet recipe from the cuisine of state uttar pradesh. however there are other theories which suggests that this milk cake is from ancient rajasthani cuisine. the history could be anything but certainly today kalakand sweet is widely appreciated and liked by every indian. i have shared several milk based sweets in my blog, but this sweet recipe is the most simple yet tasty recipe. 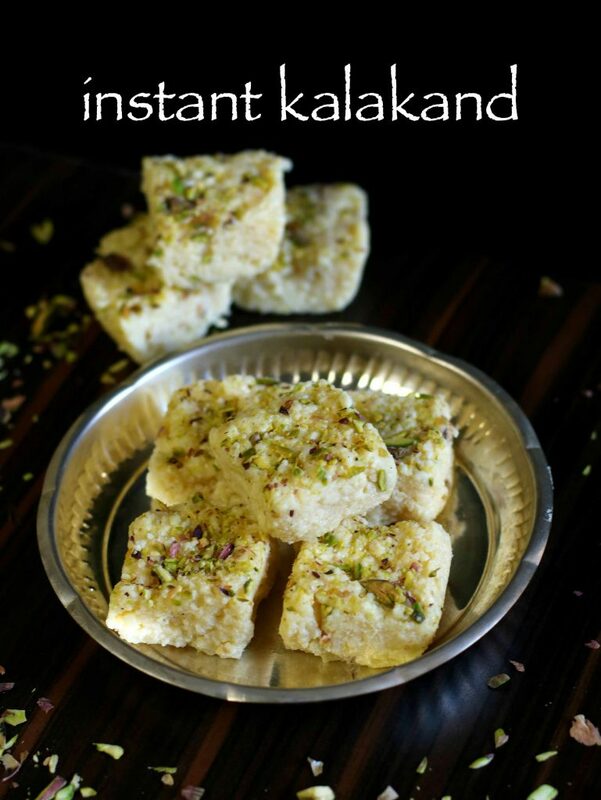 traditionally kalakand recipe is prepared by evaporating and solidifying the milk. later this thick milk is curdled, to which sugar is added and then cut to shapes. 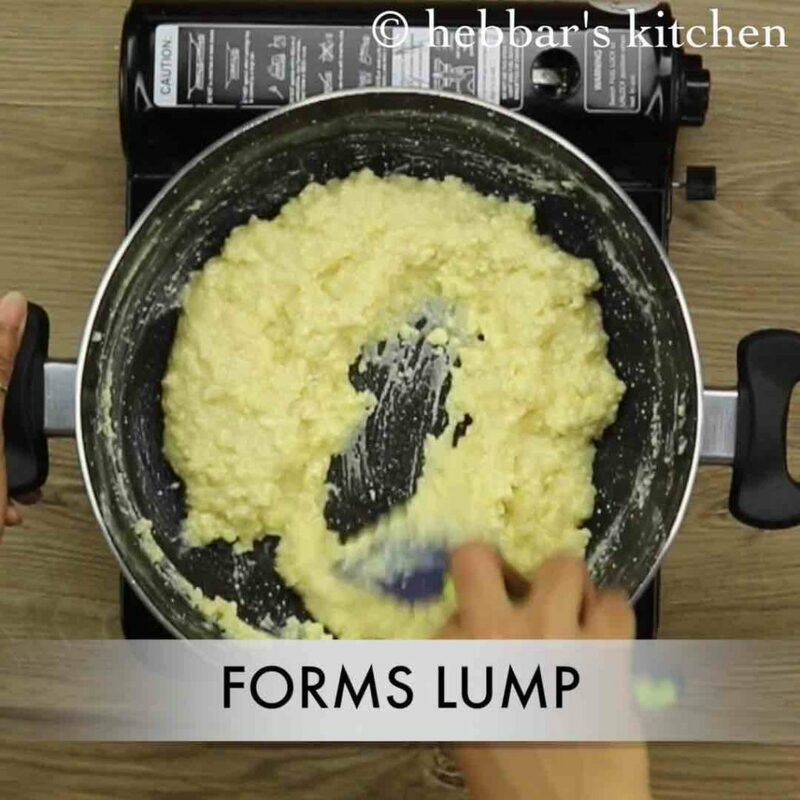 however this recipe is a quick and instant version prepared by soft and moist paneer with condensed milk or milkmaid. hence the evaporation and curdling process which takes significant time is totally skipped. moreover no extra sugar is required as condensed milk contains sufficient amount of sweetness. while the preparation of kalakand is extremely simple, but some important tips and suggestions. firstly, i have used condensed milk in this recipe and hence i have not added any extra sugar for this recipe. alternatively, evaporated milk can be used and desired amount of sugar can be used as per preference. secondly, i have used homemade paneer for this recipe and i made sure it was moist and soft. store bought can also be used for this but it has to be fresh and soft. lastly, the kalakand has to be cooked in low to medium flame otherwise milk may stick to the pan and eventually may have burnt smell. 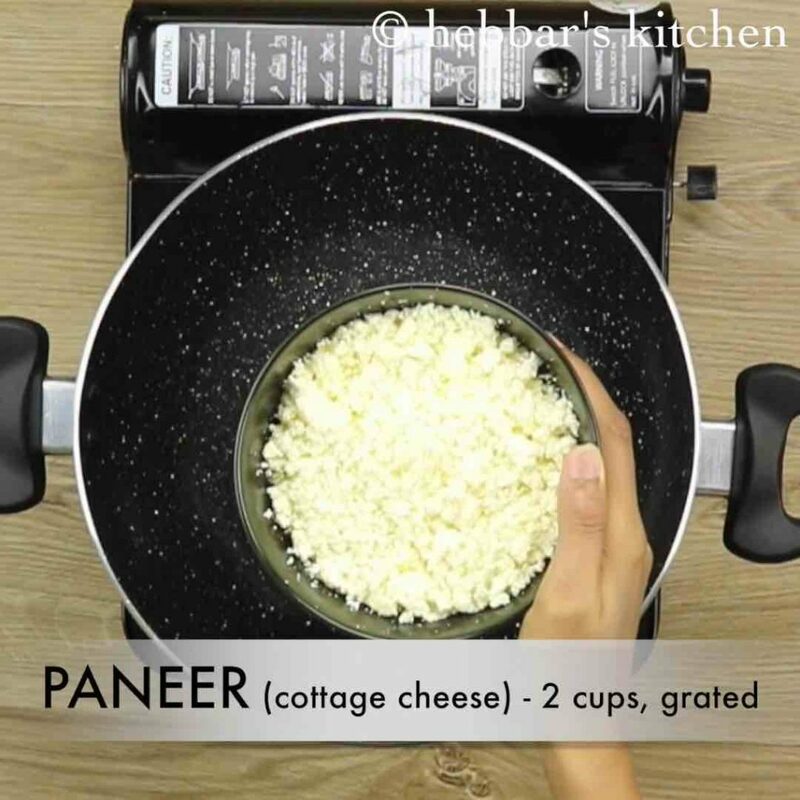 firstly, in a large kadai or nonstick pan take crumbled paneer. 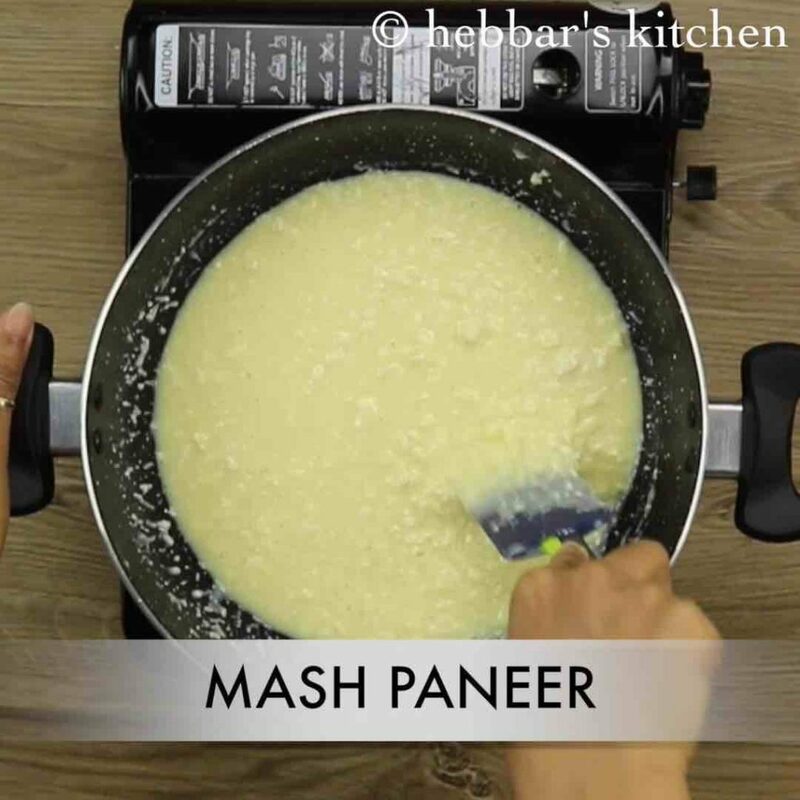 use fresh homemade panner as they will be more moist and fresh. 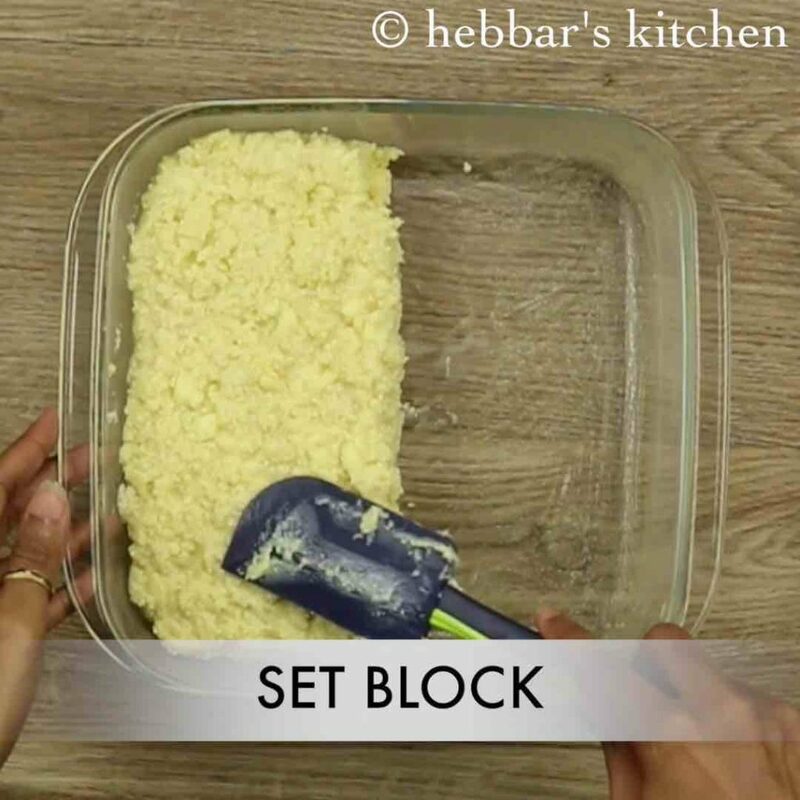 also add milk powder to make kalakand more whitish. 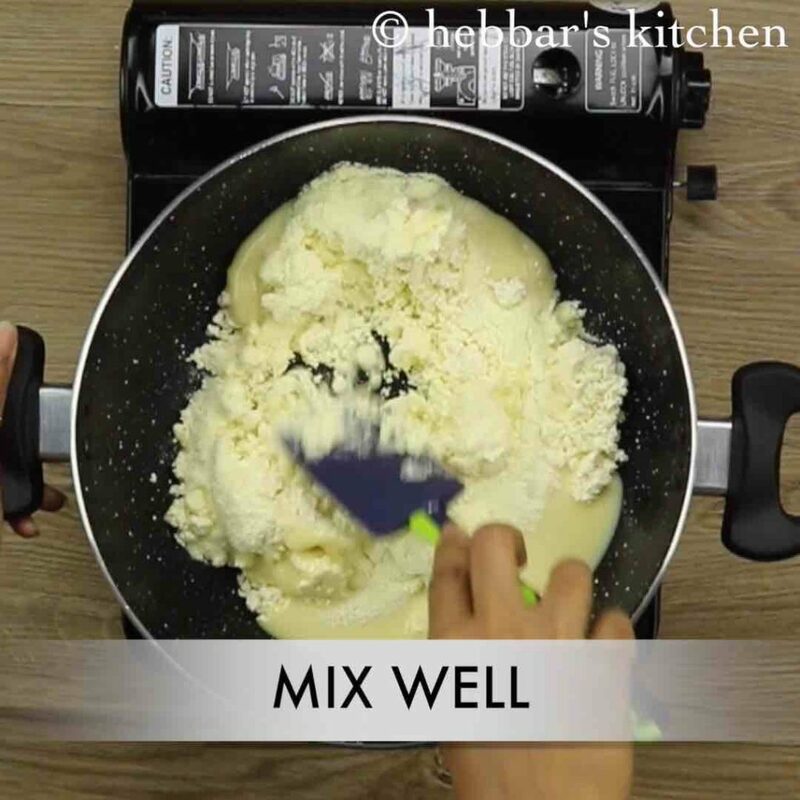 mix well making sure the condensed milk and paneer are mixed well. mix and mash continuously till the mixture thickens. keep the flame on medium and keep stirring. 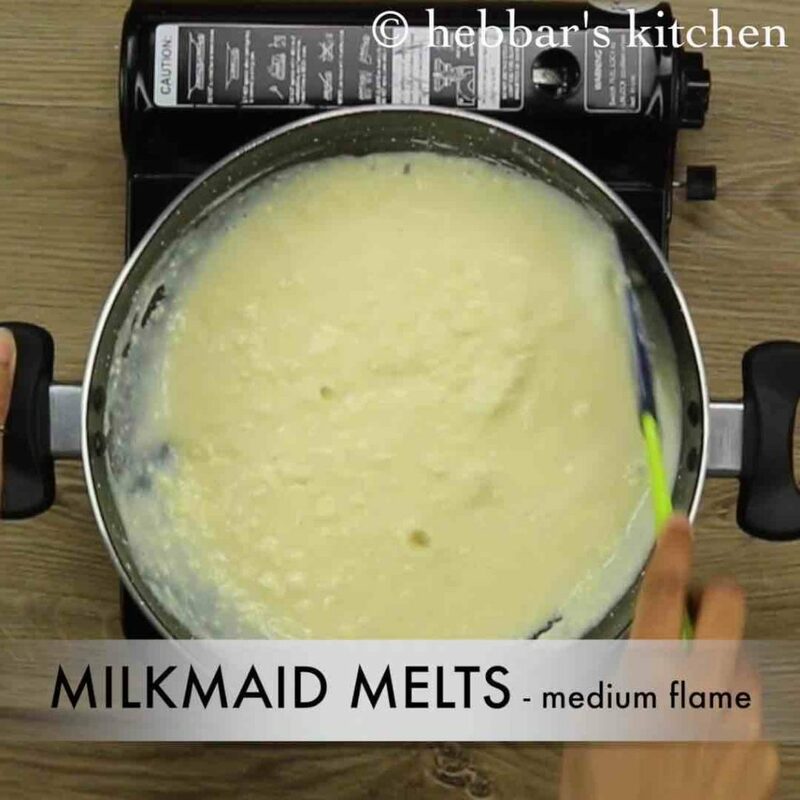 cook on medium flame till the milkmaid melts completely. and the mixture starts to thicken. 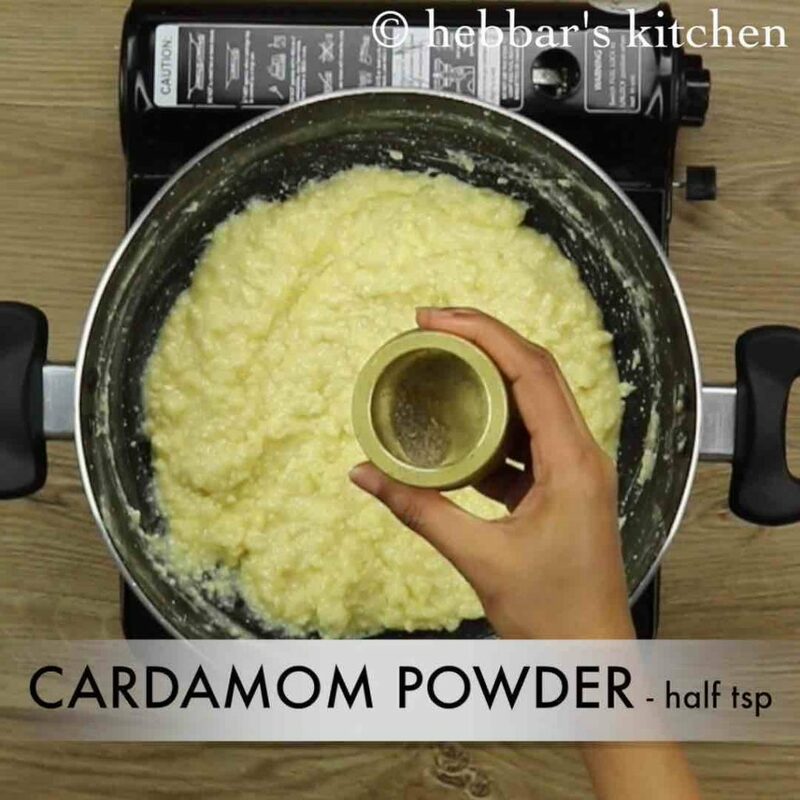 further add cardamom powder and mix well. mix till the mixture starts to separate the pan and forms a lump. 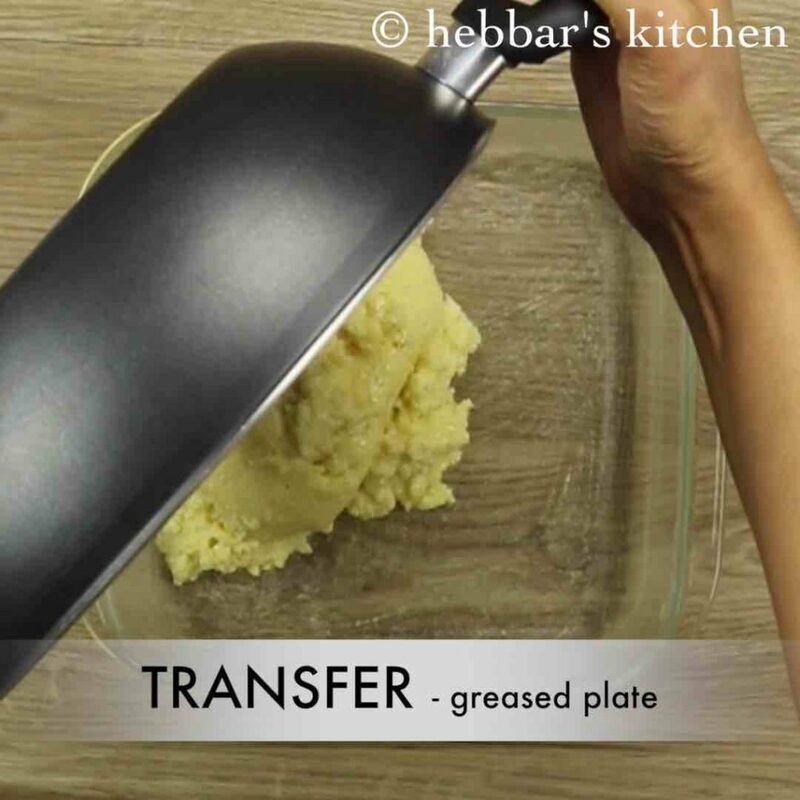 transfer the mixture to the ghee greased plate. level it up and set to a block making an inch thick. 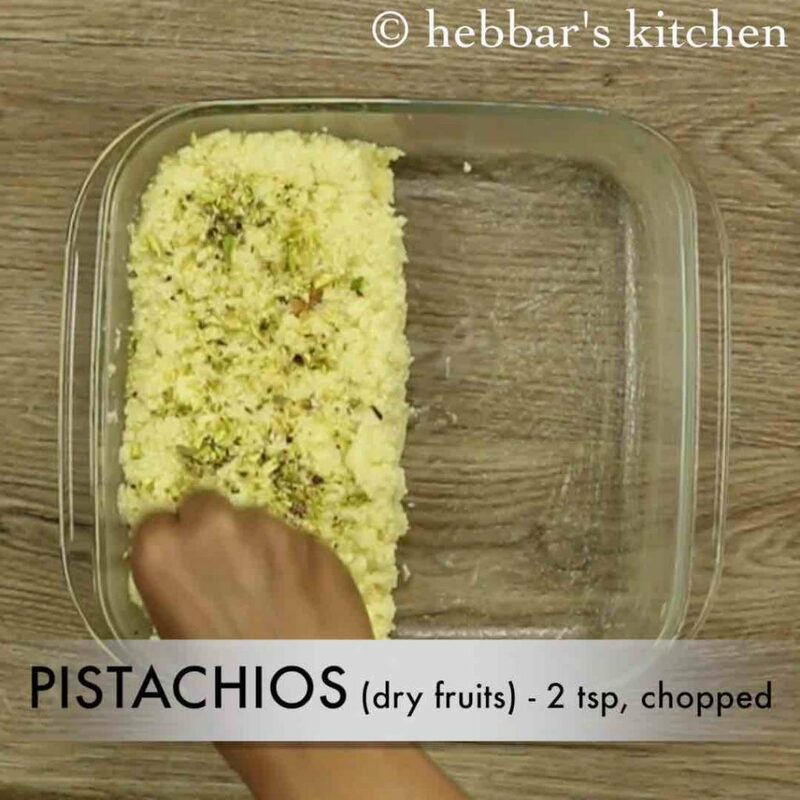 add finely chopped pistachios or any nuts of your choice. press gently with the back of spoon so that the nuts stick to kalakand. 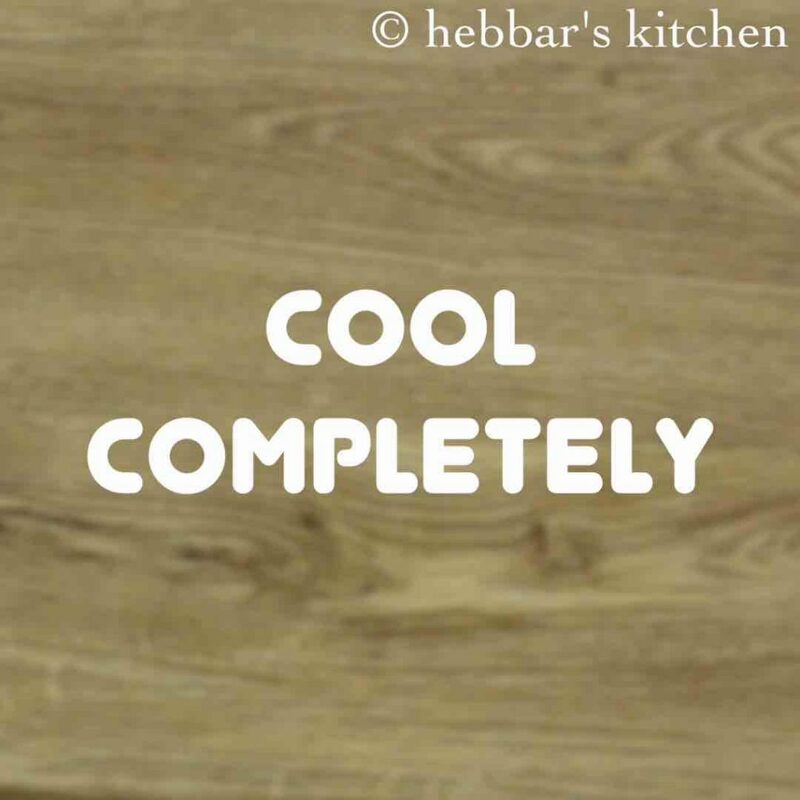 cool completely for 2-3 hours, or refrigerate for 30 minutes. however, cooling naturally will make kalakand more moist and tasty. 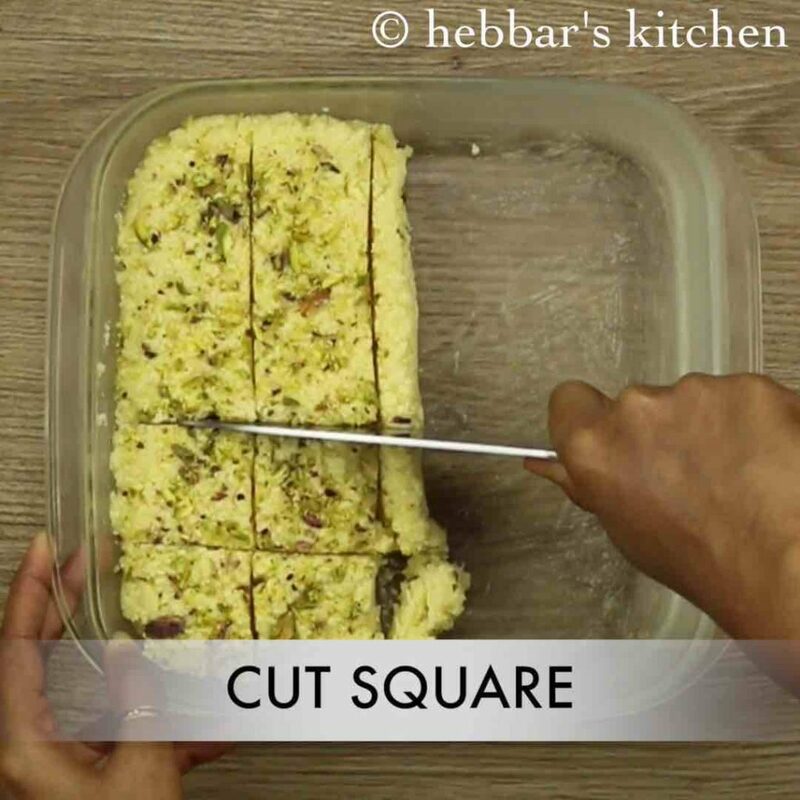 cut the kalakan into square pieces. 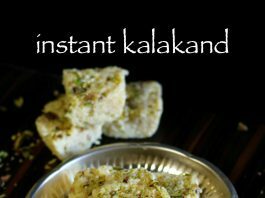 finally serve or store instant kalakand for a week by refrigerating. firstly, to increase the amount of sweetness add a tbsp of more sugar. 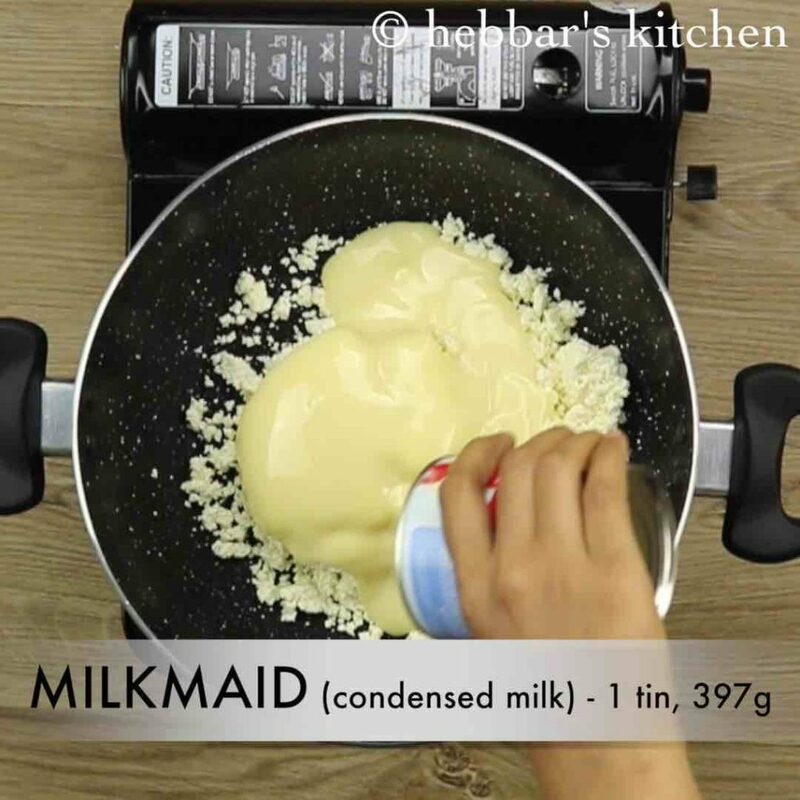 however, condensed milk gives sweetness. also, cook kalakand on medium flame, else the milk gets burnt from bottom. alternatively, use rose water to enhance the flavour of kalakand. 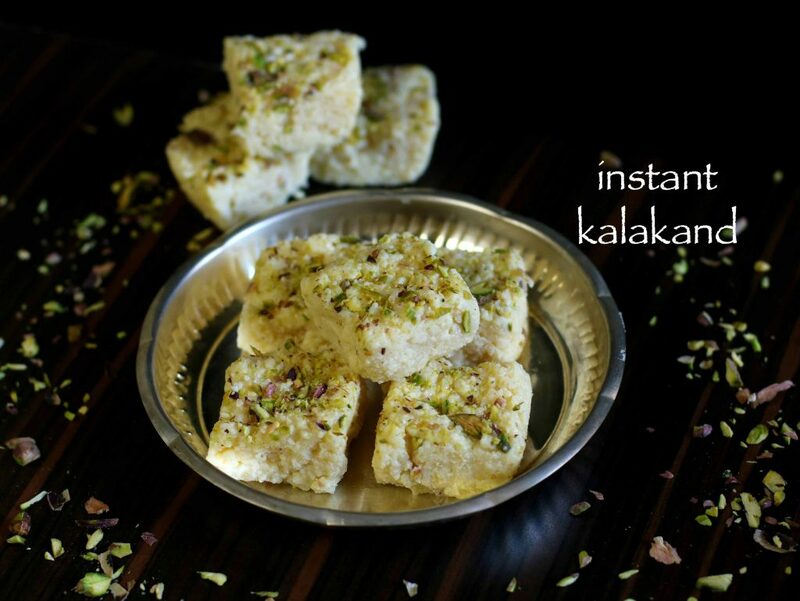 finally, avoid storing instant kalakand in refrigerator as they loose moisture. I like the way you cook the recipes . 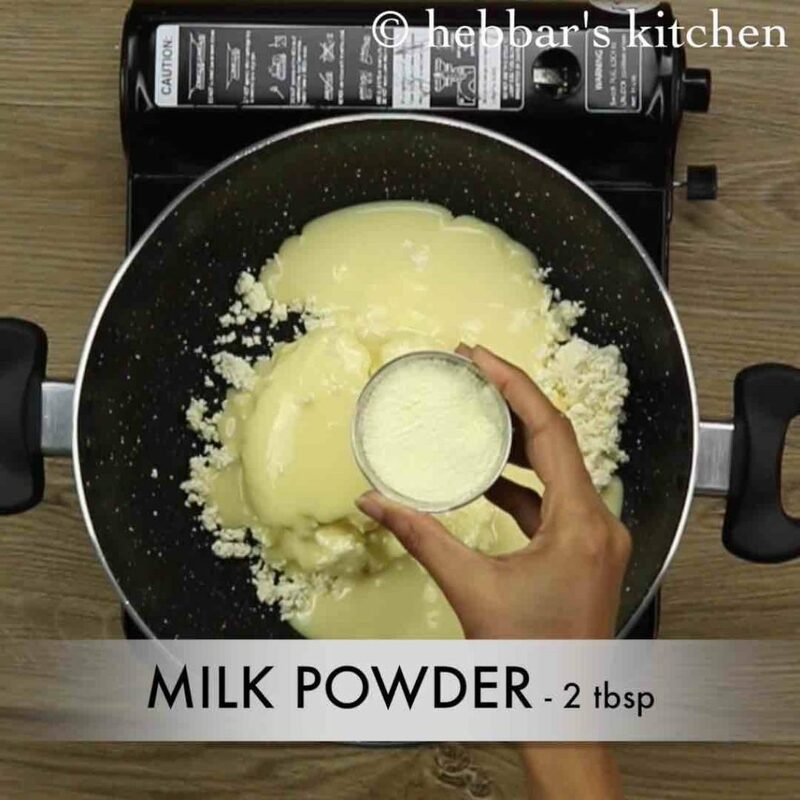 what is the milk powder you are using? What is milk powder ? And do we get this condensed milk everywhere in india ? Hi…can you pls tell me the exact quantity of paneer…i mean in grams….thank you. i have used 2 cups which is 255 gram each hence it is 510 gram precisely.